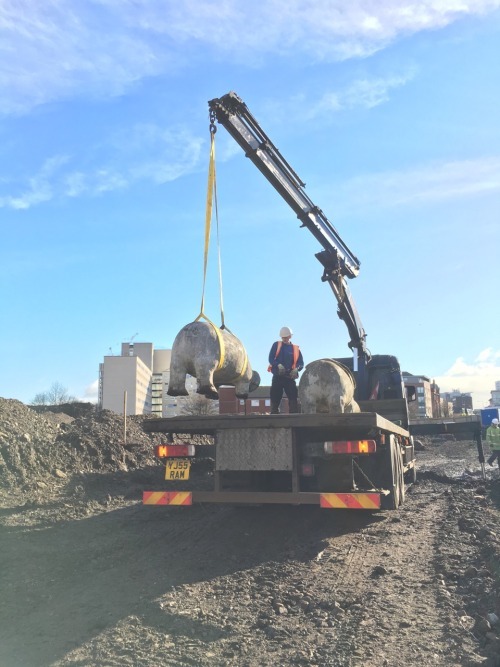 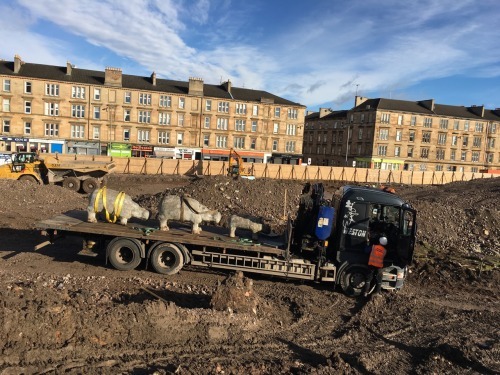 The much loved Anderston Hippos, the last residents to leave the site of the final phase of the regeneration project, were carefully persuaded onto the back of a lorry this morning, to be taken away to their temporary home. 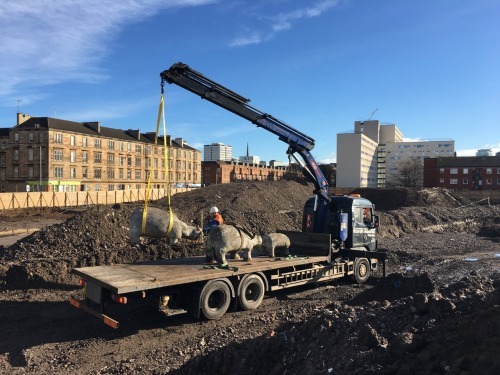 Anderston Phases 4 & 5, which will start on site shortly, will be complete in two years, at which time the family of hippos will be invited back to make their homes in the new landscaped amenity areas around the reinstated section of Argyle Street. 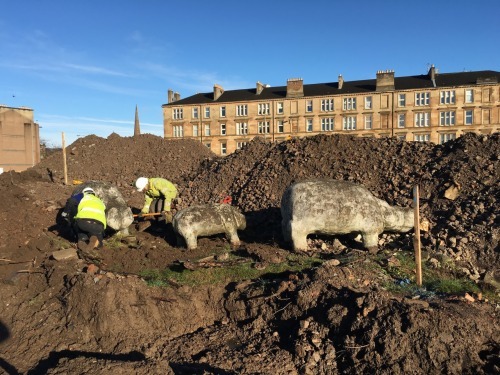 In the mean time they will be having a well deserved rest and some TLC to tidy them up after over 50 years on site.